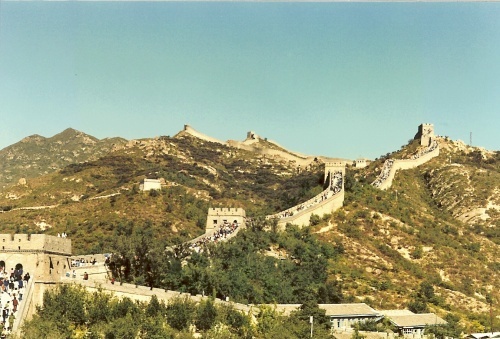 Great Wall of China - Your Stories, Reviews, Photos! Our visit to the Great Wall of China with the kids was one of the highlights of our trip. One day we will be back, and would like to explore some of the other sections. Things are changing rapidly in China. Sections that might be open today, might be closed for restoration work tomorrow. We will try to keep you updated on any changes, and you can help us too! Have you been to the Great Wall recently? What section did you visit? Share your pictures and stories, and create your own Web page in our site! It's easy! To get started, just fill out the submission form below. Do you have a picture to add? Great! Click the button and find it on your computer. Then select it. Plese note, maximum size allowed is 800X600.